We are pleased to present this exquisitely designed brass Christmas ornament. 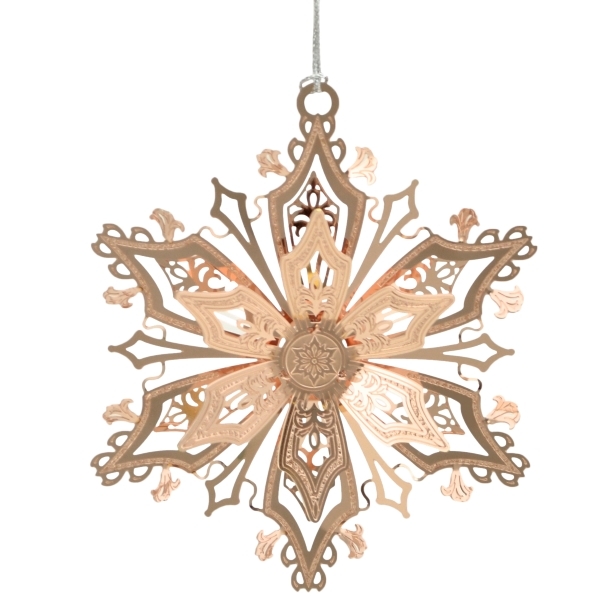 With the superb workmanship and imagination, the artists have created a truly heirloom quality snowflake ornament. This beautiful snowflake ornament is hand painted on fine brass and is designed to delight you and your family. It is delivered in a velvet lined gift box and is ready to hang on your Christmas tree.